On October 23 and 24, 2018 the second Cerasmus+ Partnership meeting was hosted in Bolesławiec (Poland) by the Polish Partner, Zespół Szkół Ogólnokształcących i Zawodowych, a state school which was funded 50 years ago and educates in different professions: tour guide, advertising specialist and ceramist, with a focus on merging tradition and innovation. Co-funded by the European program Erasmus+, the Cerasmus+ project aims to protect the European traditional heritage, to modernize the ceramic sector and to develop vocational training in ceramic craft industry enhancing work based learning models. The project has duration of 2 years and will terminate in September, 2019. The partners of Cerasmus+ are: TUCEP - Tiber Umbria Comett Education Programme (Lead Partner / Perugia, Italy); AEuCC - European Grouping of Territorial Cooperation "Cities of Ceramics" (legally based in Spain, technical coordination in Italy); Escuela de Arte y Superior de Cerámica de Manises (Manises, Spain); Istituto Superiore "V. Calò" (Grottaglie, Italy); Forssan ammatti-instituutti (Forrsa, Finland); Masarykova střední škola Letovice (Letovice, Czech Republic); Zespół Szkół Ogólnokształcących i Zawodowych (Częstochowa, Poland); Kecskeméti Kortárs Müvészeti Mühelyek (Kecskmét, Hungary). During the second meeting, the partners discussed the results of the first year of the project and set the guidelines for the work to be done in the second and last year. 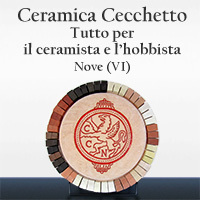 The first output produced by the international project is the Transnational report on the training needs in ceramic sector (available online - https://bit.ly/2yI99p3). As project's first step, the partners performed a preliminary field analysis to let ceramics key actors and stakeholders explore their needs for competences for assuring sector development through networking, protection of immaterial heritage, innovation. The field analysis has been carried out by realizing a survey among ceramics key actors and stakeholders. To do this, a questionnaire has been developed and administrated to about 50 ceramics craft key actors and project stakeholders' representatives for every country involved in the project. According to the survey, the most valued skills are "Artistic and Craft skills" (report p.12) and between these ones, the most valued are the "Craft skills". Among the "Professional skills", the most valued are "Technical skills" (report p.13). "Relationship management" are the top scored among the "Functional Skills" (report p.15). Overall, the main training needs emerged from the survey are the ability to define the product the client is asking for; the skills related to the production of a quality product; the importance of the creative solution of problems; the abilities of Teamwork and Service orientation. On the basis of these main point of reflection, starting from November 2018, the partnership will discuss the results of the survey with the stakeholders, and build a model including specific curricula and reference educational resources for initial and continuous VET, focused in work based learning, aimed at letting ceramics professionals gain transversal and professional competences for the improvement of sector "value chain", of models and means for valorization of urban environment, and for supporting business start-up. During the meeting, the partners visited the Manufaktura, Polish Pottery Manufactory (http://polish-pottery.com.pl/en/manufactory/), a company which combines the tradition of manual pottery creation and decoration with new design trends, and the Ceramics museum of Bolesławiec (http://www.muzeum.boleslawiec.net/en/site). The next steps of the Cerasmus+ project will be online meetings with the stakeholders, and a training in Hungary (January 2019) to determine the guidelines of the vocational training curricula.